I guess that one of the reasons I even created a category for industry related news, was to write about interesting and mind-blowing revelations like this one. Earlier today, the Plenty of Fish management team published a blog post that displays their annual earnings, starting from mid-2003, all the way to early-2006. I didn’t have any expectations for what the blog post would say, or contain. I was in awe when I saw the numbers that they had going on back in those days. In January, 2006 – Plenty of Fish was able to generate an estimated $463,000 in revenue from displaying Google AdSense advertisements. I do remember those days, because it was around the time I started getting into all this myself, but I’d have never guessed or even thought of, that someone out there might be making half a million dollars from an early advertising platform like AdSense. You can see how steady their growth has been, in 2005, they went from $63,000 per month to a whopping $446,000, just twelve months later. It does seem like Plenty of Fish have cut their relationship with AdSense ever since, but is that the biggest check that they’ve got up their sleeves? POF is a free online dating website, which has been operating for over a decade now. It doesn’t hold a lot of liability when it comes to being a company, and their business model hasn’t changed much since the initial launch in 2003. As it is right now, they seem to be running their on advertising network, and there is some speculation – that all this publicity for their earnings is a way of marketing themselves to new partners. Who knows! I thought I’d share this forward in order to inspire and show people that this is in fact possible to achieve, and it’s never possible to know how much your favorite website is earning from a public advertising networking like AdSense. You’ve to give it to these guys, a lot of people in this World don’t make that much money through their whole lifetime. 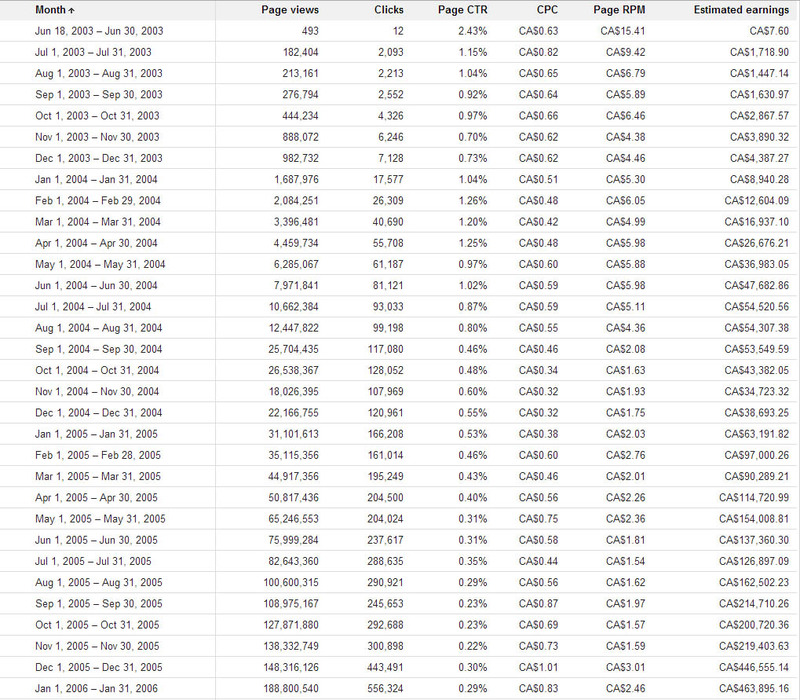 What is your biggest AdSense check, and what do you think of their success in the past?